Europe offers some wonderful Sea Kayaking destinations. The hobby/sport is gaining an increasing number of aficionados every year. 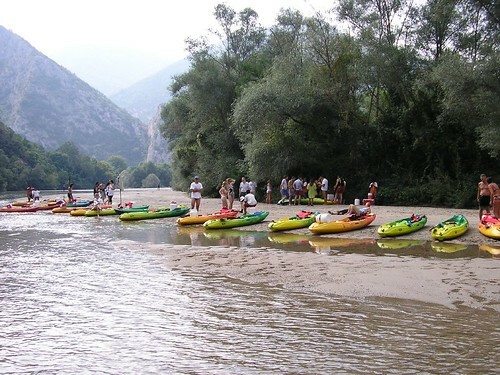 There are good reasons for this, the principal ones being the views which are both unparalleled and from a unique vantage point, the environment, usually pristine and not reachable by other means, the whole-body exercise which strengthens the upper muscles and finally the social element – sea kayaking appeals to a wide range of ages across both sexes. Add Europe’s stunning seascapes and the chance to include sea kayaking to your travel itinerary becomes even more attractive. However, prospective sea kayakers should preferably be trained and fit from home, despite some rudimentary training and ‘easy’ trips on offer from the various operators, and should obtain their own, trusted comprehensive accident insurance. 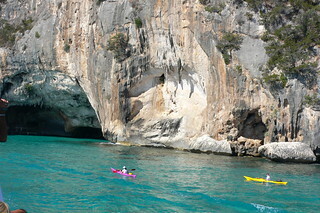 A sea kayaking trip to Sardinia, whether with your own group or as a single paddler joining others, has great potential. Sardinia’s coast of the Golfo Orosei is highly recommended and local guides are a good idea, particularly for those first trips. There also exist several fantastic camping opportunities on deserted beaches, so the trips can be multi-day if desired. If boat support is included, meaning food and drink is provided, the enjoyment can be hassle-free while adding another level of safety. The granite cliffs and islands by Palau and La Maddalena are suitable either for short or long trips and for the more adventurous, crossing the Bonifaccio Straits to Corsica is also possible – just check the weather, pack those flares and UHF radios and make sure you take your passport! The Greek coast appears endless, whether you’re kayaking the mainland, the larger islands (Peloponnese and Crete) or the myriad of other inhabited and uninhabited rocks in either the Aegean or Ionian seas. Great beach tavernas, island hopping and swimming in pristine waters are some added attractions – bring strong suncream! There are increasing numbers of operators offering a bewildering choice of trip possibilities. But if you venture with your own group, it’s always worth taking local advice beforehand. Croatia is a good idea for sea kayaking, particularly as there are many wonderful opportunities of chain-island hopping nearby the mainland on the Adriatic sea. These islands tend to be forested, with mainly deserted, crystal-clear water beaches. The sea-fort of Dubrovnic on the mainland is also wonderful as viewed from a kayak in the sea. So, what are you waiting for? 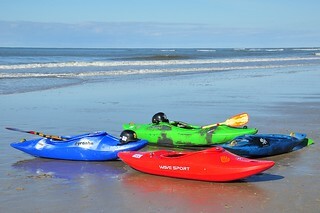 Just book that flight, then simply choose a kayak!